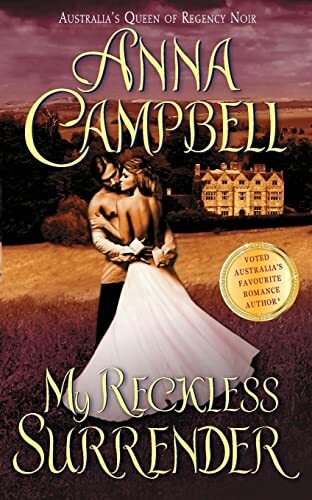 When bold beauty Diana Carrick declares that she wants to be his lover, Tarquin Vale, Earl of Ashcroft, is intrigued by this woman who is harboring a dark secret that could destroy them both. Original. 150,000 first printing. Headlong into sin . . .
A well-practiced rake, weary of easy conquests and empty pleasures, Tarquin Vale, Earl of Ashcroft, knows women—and his every instinct warns him to beware ofthis one. Diana Carrick's brazen overtures have thrown the haunted, sinfully handsome lord completely off his guard. Why, the exquisite temptress stated outright that she wishes to be his lover. But it is neither Diana's boldness nor her beauty that intrigues him so—it is the innocence he senses behind her worldly mask. Intent upon the seduction that will finally free her, Diana has set her sights on the notorious Ashcroft—never dreaming that there is much more to the enigmatic rogue than sin and deviltry. His kiss is bewitching, his caress intoxicating—and even the dangerous secret Diana must protect cannot shield her from Ashcroft's dark allure. Unwittingly yet most willingly, they are playing with fire. Now the fuse has been lit and there is no escape . . . except surrender.